Whatever the budget, exceeding client expectations is very much part and parcel of any project at Red Thread Creative and occasionally a challenging project presents more than enough opportunity to prove this. 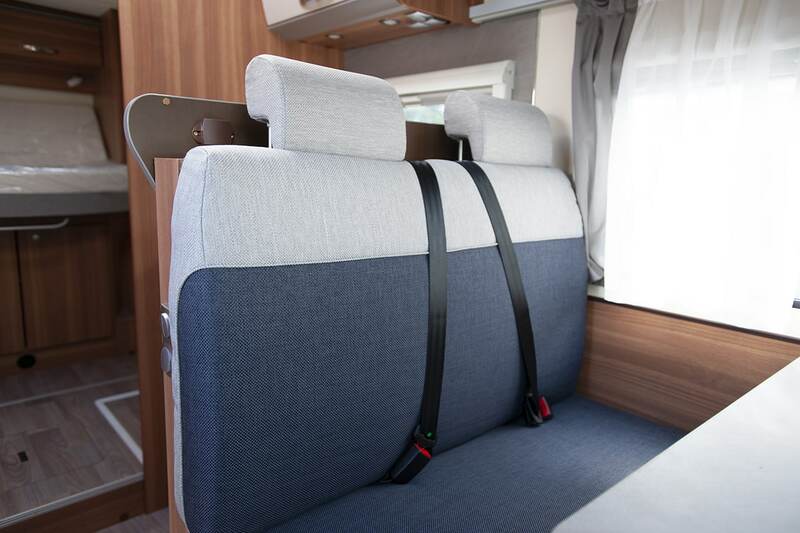 In this instance, we were asked to deliver high-quality photography of a unique, client-exclusive, motorhome conversion to be launched at the 2018 Motorhome & Caravan Show, held at the NEC, Birmingham. 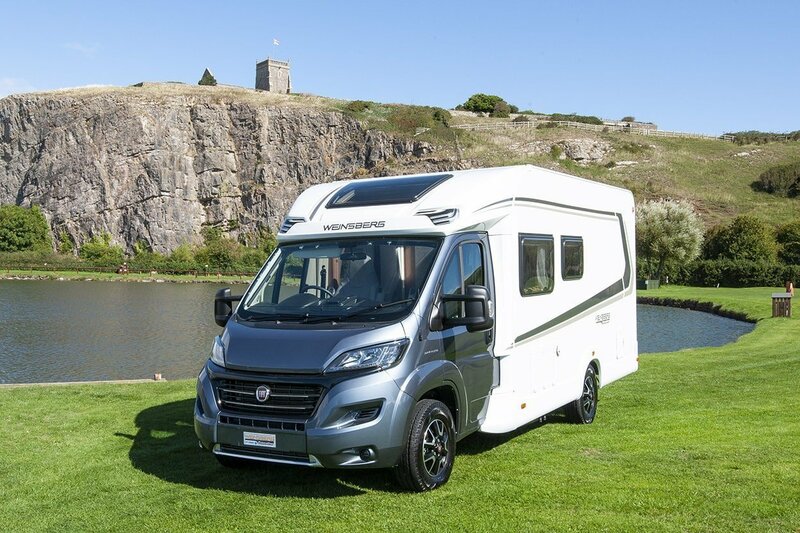 Our client, a well-known caravan and motorhome dealer in the South-West, briefed us on the need to highlight the unique features of their exclusive upgrade to an already superbly-designed motorhome. The client also emphasised that the photography would be multi-purpose and needed to compete visually in an arena with global, household name manufacturers. With fairly restricted budget and time constraints, the team at Red Thread Creative quickly realised that the success of this photography would hinge on the project planning and decision-making. Our in-house, experienced photographic team, with professional, high-quality photographic kit, assessed the individual treatment needed for the many internal features. The external photography, however, presented much bigger challenges, given the need to compete photographically with global brands. Although the client was relatively happy for us to photograph the vehicle at their extensive showground, surrounded by dozens of other motorhomes and caravans, this was definitely not an option. The success of this photographic project, relied on us finding a quiet, spectacular location with road access, where we wouldn’t be disturbed and that hopefully, given the budget, would not present any costs. The one blessing we had was our client’s business location, about a 10-minute drive to the coast. We considered our options. The seafront would be far too busy. Although some quaint seaside villages existed close by, private residences, nosey locals, car number plates etc ruled this out. The only option was a pre-shoot recce and hopefully we’d get lucky. So an afternoon of driving around the client’s coastal environment ensued. We examined various locations and visualised the options until we came across a boat yard close to some mud flats near the end of a narrow coast road. Okay, a bit run-down but very authentic. A working boat yard still presented many obstacles. Then we noticed the campsite next door, with a dozen or so pitches for caravans and motorhomes. Small and private, with lots of very unique features. Approaching the locked gates the warning signs came into view. “Private”, “No entry to the public” “Do not enter”. However, in our book, if you don’t ask, you don’t get. We leapt the gate and presented Red Thread Creative to Sue, the manageress. Her blank expression said that she wasn’t buying whatever we were selling. However, when we explained the reason for our intrusion and helping a local business, she couldn’t have been more helpful. She explained the exclusions we needed to obey and we arranged to revisit when the weather was right for our external photography. The resultant photographic shoot went beautifully, creating well-considered, high-quality photos that complement the subject within a very unique outdoor environment. Our client was delighted with the high-quality photography and as agreed, we sent Sue at the campsite some great out-takes for her own use as a thank you. If you are interested in hiring us for photography in Bristol please contact Dennis to arrange getting the project started.